KINGSPORT, Tenn. – One of Fun Fest’s kickoff events, the 33rd Annual Keep Kingsport Beautiful Trash Barrel Paint-In Presented by Domtar will be held on the grounds of Allandale Mansion, Tuesday, July 10.
along with themes that encourage recycling, litter prevention and litter free Fun Fest events. Director of Keep Kingsport Beautiful. Face painting will be available and Miss Kingsport will be on hand, along with Festus. The event will run 9 a.m. – 2 p.m. All barrels to be judged must be completed by 11:30 a.m.
barrel availability. All proceeds go to support the many programs of Keep Kingsport Beautiful. Event rain date is July 11. Participants should bring ALL painting supplies, including spray paint, water-based paint, brushes, stencils, etc. One winner will be selected out of each age group. Age groups include: 5 and under; 6 - 8 years old; 9 - 11 years old; 12 -17 years old; 18 and over; Family, Special Friends and Best Overall/Terry Light Memorial Award. The winners will be invited to attend the Fun Fest Sponsors Breakfast, where the winning barrels will be displayed. Paid registration is required for this event. Registration forms are available at the Fun Fest store, 400 Clinchfield Street-Kingsport and www.funfest.net. specialty and packaging papers, market pulp and absorbent hygiene products. With approximately 9,800 employees serving more than 50 countries around the world, Domtar is driven by a commitment to turn sustainable wood fiber into useful products that people rely on every day. Domtar's annual sales are approximately $5.6 billion and its common stock is traded on the New York and Toronto stock exchanges. Domtar's principal executive office is in Fort Mill, South Carolina. To learn more, visit www.domtar.com. 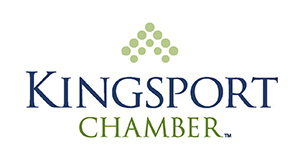 at (423) 392-8814 or rcleary@kingsportchamber.org. Fun Fest is a nine-day festival featuring more than 100 events for all ages. Fun Fest 2017 runs Friday, July 13 to Saturday, July 21. The Fun Fest store is open 9 a.m. to 6 p.m. Monday through Friday and 8 a.m. to 1 p.m. on Saturday. For more information on Fun Fest, visit www.funfest.net or call (423) 392-8806.